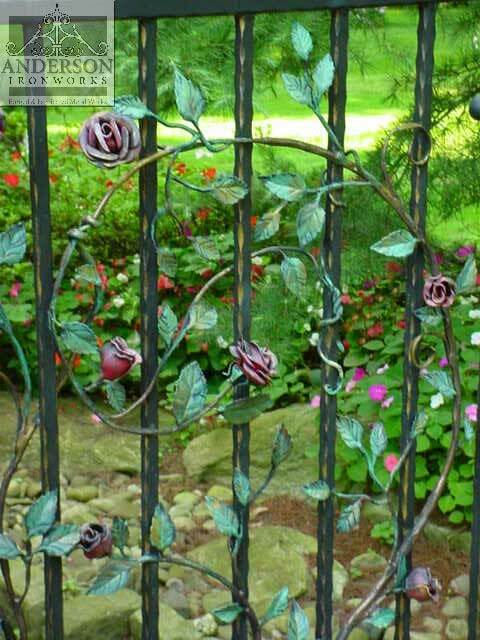 When it comes to iron work, Bucks County knows that they can rely on Anderson Ironworks to deliver a superior product. Why? Because we’ve been in business for two generations, and we’re a family-owned company that prioritizes our customers and what they envision for their iron work. It may be easier than ever to get ironwork done, but homeowners should still rely on local expertise and traditional techniques iron work that will last a lifetime. For intricate jobs, delicate restorations and exceptional customer service, Anderson Ironworks can’t be beat. Our first step is to get a sense of your vision whether it’s crystal clear or still in the planning phases, and help you flesh out a realistic, true-to-yourself design. We can show you samples, get an idea of your timeline and budget and get on the same page regarding all of this. After the consultation we’ll provide you with a quote for your project. If you’re ready to move forward, we’ll create a 2-dimensional rendering of your project to give you an idea of what it will look like in your space. This will help both of us get an idea of the scope of the project and we can determine the appropriate payment plan. Using the template we created in Step 2, we get to work in our shop to create the beautiful piece for your home or business. Our skilled craftsmen will create and install the piece to ensure it’s a perfect fit for your space. Look though our catalog of predesigned options to get ideas and inspiration for your project or simply choose your perfect piece! We’re here to help if you have questions or concerns. Don’t forget that when it comes to your property, nothing is more valuable than the expertise of a trusted professional. Don’t make a costly mistake by trying a DIY method or a company with less experience. Anderson Ironworks can help you get started on the right track, contact us to discuss your ideas!